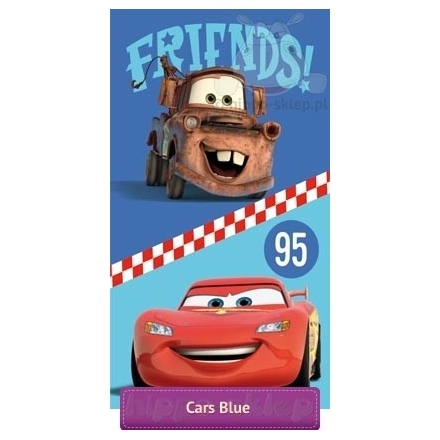 Kids bath towel with Disney Cars McQueen and Mater characters – friends known from Radiator Springs village in the first Disney Cars movie. 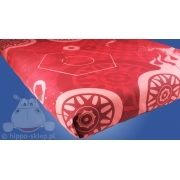 Kids bath towel with McQueen and Tow Mater in blue and navy blue colors and sentence “Friends” . 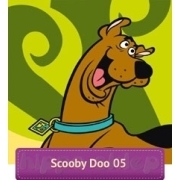 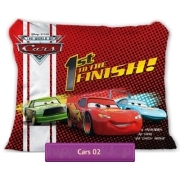 Kids towel with Cars characters under licence and from official Disney merchandise size 27x47 inches equals 70x120 cm, made of 100% cotton with velour finished and one side printed. 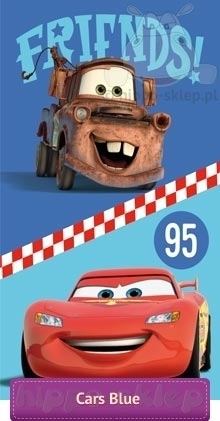 Disney Cars kids towel with Mater and McQueen suitable for home and outdoor use e.g at swimming pool or on the beach for anyone who love that movie characters.